When you’re visiting Estelí, the cigar capital of Nicaragua, I’d recommend buying some Nicaraguan cigars with you. Cigars made here are world-famous, and even if you don’t smoke yourself, they make for a perfect souvenir for someone who does. 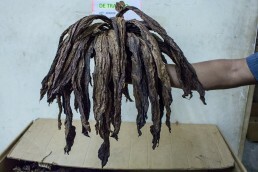 Nicaraguan cigars are a rival to the Cuban cigars, and some even say that Nicaraguan cigars are better! 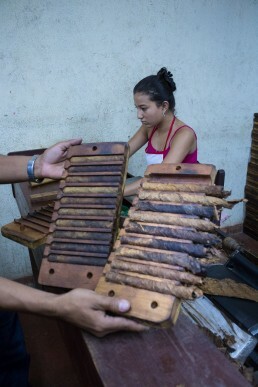 Estelí, a small town in the Northern Highlands of Nicaragua, produces some of the world’s best cigars. So, if you find yourself there, like so many other travelers do on a hunt for the perfect “tube” to enjoy upon, take a short plunge into the world of cigars. We put together a little cigar buying guide for you, to make things a bit easier. 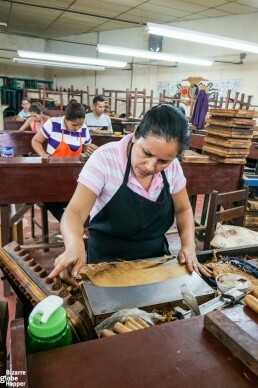 The most convenient way to buy some top-quality Nicaraguan cigars is to go on a guided cigar tour to some of the many cigar factories in the area. Estelí is full of them, small and big ones. However, not all are providing tours. You can ask around for yourself, or stop by into a café called Treehuggers in the center of Estelí. The café is a favorite place to hang around, and their staff can arrange you a cigar tour if all else fails. The downside is that they’ll probably arrange your visit to one of the biggest factories. We opted for visiting one of the smaller ones, called GGi. You will also often get better prices in the small factories, so I would recommend favoring them. Also, in the smaller factories, the making process is still traditional hand-made from start to finish, making it more genuine, whereas the process is already more industrialized in the big factories. But if you are short on time and can’t hunt for a tour when you’re on site, you can book a good cigar tour for yourself from here (this one starts from Managua). Also, check out our suggestion for a one-month itinerary for Nicaragua! If you would fancy a visit to the GGi Cigar Factory, you can ask from Esther at the B&B Villa Riviera. She knows some of the factory’s staff and can arrange a tour. 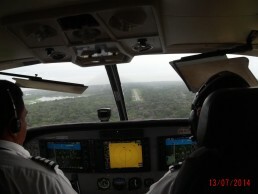 We paid only $6/pp for a private visit and got excellent and thoroughly tour with our informative guide, Darwin. You can check out our whole cigar tour experience with a video from here! In the smaller factories, your guide will most likely speak only Spanish, but even though our Spanish is hardly passable, we managed alright. So don’t be afraid – go. You can think of it as a language rehearsal, as well as a thorough introduction to the complex world of cigar making, cigar tastes, shapes and sizes. Some of the best Nicaraguan cigars are coming from the area of Estelí, so don’t miss this opportunity. 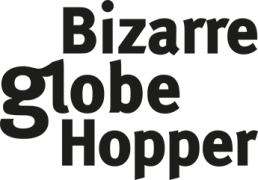 And if you’re not a smoker, maybe someone you know is and they would be thrilled if you will bring them some smokable souvenirs from the top of the world of cigars! The quality of the Nicaraguan cigars in Estelí is just superb. This little town became the refuge of some the best Cuban cigar makers during the Cuban revolution in 1959, and the craftsmanship of cigar making came to stay. The craftsmanship is also still alive and kicking today. When you’re looking to buy some of the best Nicaraguan cigars, you can just stop by to any factory you see on your way and ask are they able to sell you some. Some factories can only sell in bulk, and some may produce everything to export only. But for example from the GGi factory, you can even buy just one cigar if you like. 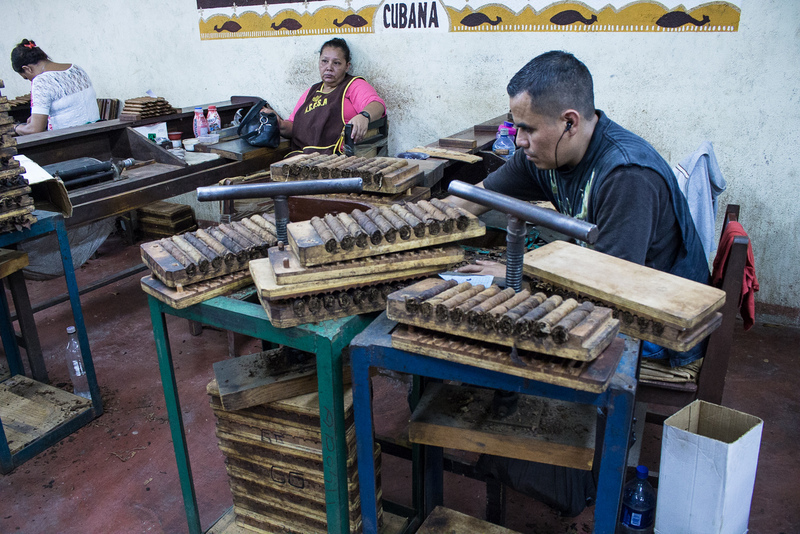 However, if you are looking to buying in bulk, I bet that negotiating deals straight with the cigar factories on-site would be your best bet if you’re hunting for a bargain price. If you go on any other route, you will get middle-men that will increase the cost. And what could be better than personally see the manufacturing process, the crude material, and quality control the end product? 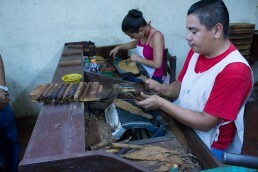 The costs of the Nicaraguan cigars are just unbeatable when you buy the cigars straight from the factory. Even buying them from a store in the center of Estelí may have already double the price, at least. And comparing the factory’s prices to the prices they have for these cigars in your home country; it’s probably five to six times more. We bought several different sized and shaped Nicaraguan cigars to taste from the GGi. They cost 1 USD/piece. Only the unique ones cost 2 USD/piece. That’s pretty cheap, isn’t it? First, decide whether you want a stronger or a lighter tasting one, and a thick or thin. 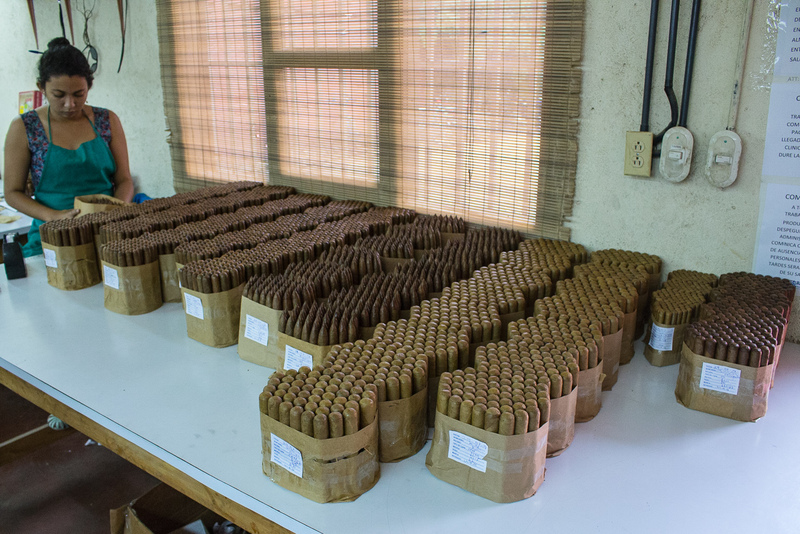 The Nicaraguan cigar factories produce so many different sized, shaped, and tasting cigars that you will likely get confused at the number of choices. A little bit of help could be from this article discussing the top 10 best Nicaraguan cigars. They even have their own models for ladies at the GGi. However, that may sound a bit silly, but some ladies do prefer their cigars as a bit different than the big and fat, classic tubes. We opted for a taste a little bit of everything. Now when seeing that as hindsight, we should’ve had a cigar humidor at home where to keep the cigars in perfect condition. So, if you end up buying many Nicaraguan cigars, I’d suggest you also buy a good humidor for them. You’ll thank yourself later when after months you’ll still have a cigar to enjoy like it was freshly made. The transport will be the most problematic phase. Ask the factory to pack your purchases as air-sealed as possible. Then the cigars won’t have lost all their delightful aromas when you get back home. If you don’t happen to travel with a humidor in your bag (like you probably don’t, but there are some available if you’d like to! ), your best bet may be to bring lots of re-sealable mini-grip bags, for example. But if you are not planning to take them back home, sit back on a comfy chair in the evening, grab a glass of the spectacular, Nicaraguan rum (Flor de Caña), and smoke one calmly enjoying all its extent. Is there something that we have missed? If you have some new tips, please don’t hesitate to tell and comment below! Hopefully, there was some helpful information here to get you started if you are looking to buying the best cigars in Nicaragua. Where to Stay in Esteli, Nicaragua? We stayed in the B&B Villa Riviera, and it was a small, cozy place. But you can definitely find a good place to stay in Estelí – the options range from budget to more expensive. Or you can check this article of ours from where you can pick out our top picks for hotels in Nicaragua!  *This post includes affiliate links. If you choose to use them, there won’t be any extra costs for you but we may get a small commission, and you will help us to keep this blog updated with the best tips and tricks for your convenience. Thank you so much! 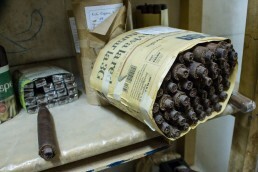 From Estelí on the Northern Highlands of Nicaragua comes some of the world's best cigars. 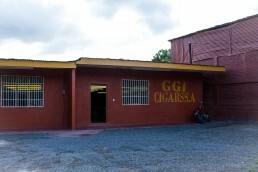 We visited a small cigar factory called GGi. Here is how a cigar is rolled by a real pro. Of course I would like to get my cigars for the best possible price. However, I consider myself a cigar connoisseur and a low quality cigar won’t do it for me. I am looking for only premium cigars and, since buying them at the source, I would expect to buy them at a bargain price (I am bypassing all the levies and duties, and at least a dozen of middlemen when comparing to buying those in USA or Canada). Having said that, I do not believe that it is possible to find a premium cigar at a cost of $1 or $2, even in Estelí. The fact that Estelí produces the best Nicaraguan and arguably best cigars in the world, does not mean that every cigar manufactured there meets the highest standards. Even the best cigar factories are producing better cigars and lower quality that is a result of using better and not so good materials. 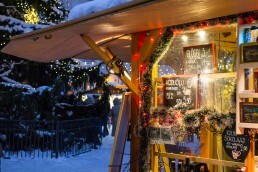 Also, they are trying to satisfy demanding customers and those who are looking for street bargain prices. On my many visits to Cuba I have experienced it all. You can even buy a cigar for 10 cents, some will offer you cigars for free. I tried some of those; I would gladly pay money for not being impelled to smoke them. So, what I am trying to say is that I am looking for information on buying PREMIUM cigars in Nicaragua, not a novelty or a souvenir for a novice. I know that some people are impressed when they see how a cigar is hand made, but as impressive as rolling of a cigar may look, it does not always mean that it is a birth of a good cigar. Only highly skilled cigar rollers and the top quality tobacco, plus a process of fermentation, aging and selection of only best leaves can assure high quality. Cigar makers in their (usually third world) countries can see a tourist coming and will tell him whatever he wants to hear. And tour guides work for them, too. Hi, Richard, and thanks for stopping by. By no means, I’m no expert (I don’t even smoke anymore) and couldn’t really say much about the premium quality. I could only say that they were good enough for me and I’m sure that they will be for the average consumer, too. Naturally, for the real enthusiasts and experts, they’d probably be a bit too poor quality. Or then again, perhaps all of them wouldn’t, who knows. Sometimes you can find quality for real bargain prices, even though it could be rare. I hear Nicaraguan cigars are cheaper and the same quality as the Cuban ones. 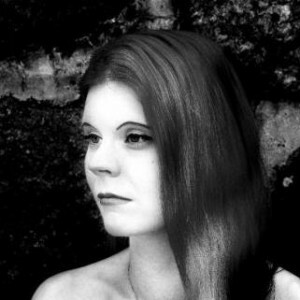 Nice to see a blog post about them., although i’m just an admirer. I have brought a large Boveda bag at a 65rH with me. I also brought a box filled with cigars, even though just a petite corona sized box that has Spanish cedar inside. It’s at least a starting place. I plan on trying to visit the smaller factories. I wish I knew which factory rolled RoMa craft. However, just trying locally found cigars in Nica has been very enjoyable. Is it possible to ship cigars back to the Us from Nicaragua? These would be for personal use, but I plan to buy quite a few, like maybe 300. Hi, Ross! Unfortunately, I’m not aware of the customs regulations in the US concerning cigars. Of course, it is possible to send cigars anywhere from Nicaragua, but when you have large bulks to ship (300 would be pretty big amount, I’d say), it’ll likely go to customs. I think you should check with the US customs about the regulations and possible fees first, even though they’d be for personal use only. Just be on the safe side, you know. One of the places I have wanted to go. Being a cigar smoker and huge fan of those made in Esteli I could spend a month there and still not do everything I want. Hi, Bob! Yeah, Estelí is a heaven for cigar smokers. I smoke really rarely nowadays, but I still have some I bought from there and they’re just superb. Some of the best I’ve ever tried!